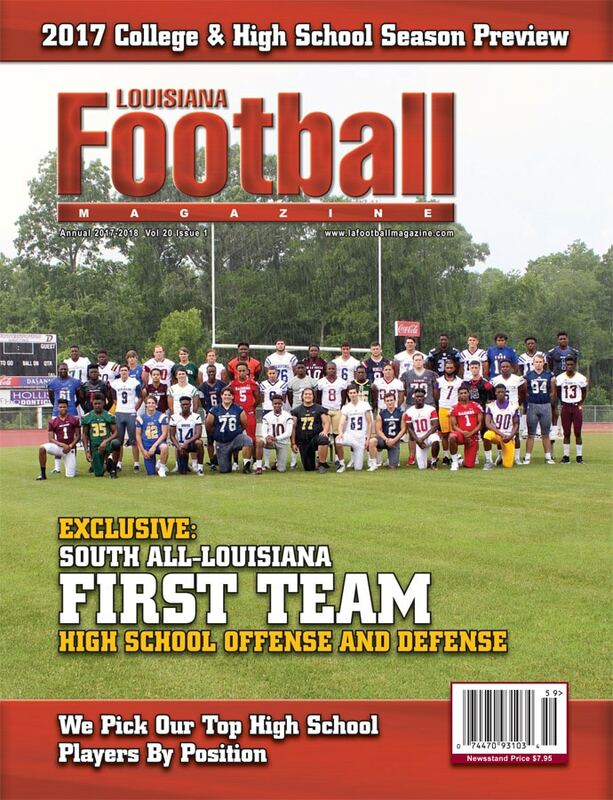 Not a lot of people have heard about Madison High School, which is a 3A private school located in Tallulah, Louisiana. Madison High School may be a 3A school, but this season, the team had a 1A roster with only just enough football players to have a team. The Jaguars only had about 20 players on their roster, which means just about everybody had to play the whole game. Playing in one of the toughest 3A districts in the state against teams that are bigger and have more depth in Sterlington, Richwood, Union Parish, Carroll, and Wossman with barely enough players to have a team is tough and as a result, the Jaguars had a tough season winning only one game this season. That game was against Delhi High School. Even though the team went 1-9, they played really hard and were in a lot of those games. Madison had a lot of help from their star player in QB/FS Kevin Jones. 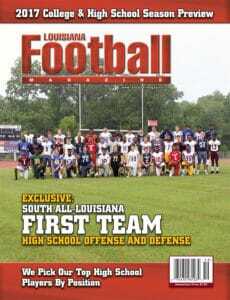 Jones is one of the biggest hidden gems in the entire state of Louisiana. Jones played all over the field at whatever position the Jaguars needed him to play and even with the lack of depth, Madison always had a chance to win when #6 was on the field. Jones will go down as arguably the best player in program history. Even though Jones did not win much games at Madison High School, he sure put up some incredible numbers. This season, Jones has accounted for 2,715 yards of offense and 32 total touchdowns with 1,865 yards and 23 touchdowns coming on the ground and 850 yards and nine touchdowns coming through the air. He also had the ability to change the game on defense as a safety. This season, he had seven interceptions and 75 tackles. Overall, Jones has had one memorable high school career accounting for over 6,000 yards of offense for 80 total touchdowns on offense and having 200 tackles and 13 interceptions on defense. If Jones played at a bigger program, who knows how many accolades he would have received. 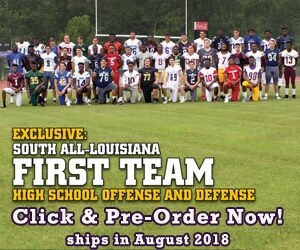 Louisiana Football Magazine’s recruit expert Lee Brecheen firmly believes that the three time 1st team All-District athlete may be one of the biggest steals in this class and for good reason. 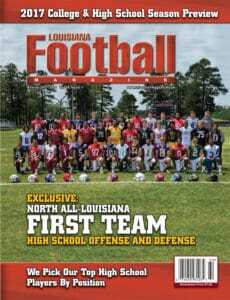 That is great news if you are a Louisiana Monroe football fan as Coach Matt Viator and his staff did a great job of finding this diamond in the rough. Jones has been offered by some schools, but in the end, the 6-3, 200 pound athlete decided to sign early with the Warhawks in college football’s first ever early signing day period and will be taking his talents to Monroe to continue his football career as a Warhawk. We caught up with the future Warhawk as he talked about his high school football career, the reason why he decided to sign with ULM in the early signing period, the position the versatile athlete will play at, and so much more in our first version of signee spotlight! LAFM: What is your GPA and ACT score? LAFM: What is your max bench press and max squat? LAFM: You have already signed with Louisiana Monroe in the early signing period. What made you decide to sign with the Warhawks now instead of the later signing period? I signed during the early signing period because I felt very confident about being a Warhawk. They were the first to reach out to me and made it very clear that I was much wanted at their program. Coach Viator just arrived at the program and has made really good strides. They are close every time and they deserve to get great talent. Also after discussing how the defense works with Coach Mike Collins (ULM defensive coordinator) and Coach LaMar Morgan (ULM defensive backs coach), I felt like I could get in, learn that, and be a help to what they are trying to do with the program. I also felt really good being around the guys that are already there during my visit. They made it clear that we got a lot of work to put in, but we are going to have fun doing it as well. Getting that experience to play versus those SEC teams also played a part in it too, but most importantly, I believe we are about to definitely TAKE FLIGHT in the right direction with this program. It’s definitely beauty in the struggle. The biggest strength to my game is being a physical runner, being able to run through tackles, and make people miss if I have to. LAFM: What are some things that you need to improve on when you get to ULM? I can definitely improve my footwork, foot speed, things of that nature, and just playing the safety position period. My teammates tell me all the time that I remind them of Lamar Jackson (Louisville), but Lamar Jackson, Deshaun Watson (Clemson/Houston Texans), Derrius Guice (LSU), and Leonard Fournette (LSU/Jacksonville Jaguars) were probably my favorite players to watch on offense while on defense, it would have to be Jamal Adams (LSU/New York Jets) and Tyrann Mathieu (LSU/Arizona Cardinals). They all were physical players to me and have that dog mentality. LAFM: Looking back at your career so far, what is the game that sticks out to you the most? This is a very hard question, but I’ll have to say all the games during my sophomore season. In all the district games, we came so close to beating most of them and I remember on some of the drives, I was a key to giving us a chance along with our talented senior quarterback Jarvis Williams. Also, this year’s game against Delhi also was a game that stood out since we won that game. My running back and I had a good time going pound for pound. He had like six touchdowns and I had like three or four. It was normal for me to score touchdowns, but I was excited to see him score some touchdowns as well. LAFM: You played a lot of positions at Madison and you are considered an athlete but what position is ULM trying to play you at? ULM is going to play me at safety. LAFM: Not a lot of people have heard about Madison High School and the team only won one game this season but you put up some pretty impressive numbers. What do you make of this season overall? None of the numbers really mattered to me because we weren’t getting the wins. I hated losing especially when some nights, we were so close, but at the end of the day, it was a blessing to put up some great numbers like that. I was grateful and thankful to God for those accomplishments. In bad times, the best thing to do is find the most positive thing out of it instead of hanging your head so it bettered me as a young man. It humbled me even more. I looked at it as if God was preparing me for greater so when I do get to the top, I’ll be more appreciative. It also taught me to be a much better leader because I knew those guys looked up to me each day and each night we touched the field so I had to weather the storm. LAFM: What do you like to do after football season? Normally after football season, I am in my little slump for a while, but then, I’m right to the next sport. This year was a little different. I was in a much bigger and longer slump as I didn’t play basketball so I’ve been spending this time getting ready for the next level. LAFM: Our recruiting expert Lee Brecheen believes that you are one of the best players in the state and an SEC caliber player even though you may not have played for a huge program. What does it mean for you to be recognized as one of the best players in the state? I really appreciate Mr. Lee Brecheen. I believe what God has for me. Every kid’s dream is to play in the SEC and it was one of mines, but God has his way of doing everything. I’m very grateful for the opportunity to play in the Sun Belt. That’s just as big to me. I’m humbled and honored to know that people think of me as being one of the best in the state. That means a lot coming from where I come from. My community needed this more than anything. Someone has to break that wrong mentality around here and it’s a blessing for me to get a start on it. Dreams are definitely turned into reality. LAFM: What is your message to next year’s Madison football team? To the team next year, keep God first, get in your books, do the necessary things to give yourself a chance. Take advantage of every opportunity. Be better than I was. Be better than all the previous teams that came through. This thing is better than just Tallulah so it’s okay to be different. If you are going do something, do something because you made the decision to do it not someone else. Make your families proud as well as those who care about you and most importantly yourself. Stand for something and don’t just fall for anything. Work hard, win games, and have fun doing it. Give yourself and these coaches a chance that you all deserve. We’ve been slept on and disrespected long enough. I am excited to see the bright future ahead. I love you brothers. #GetSum6 Out. LAFM: Who are some people that you would like to thank for putting you in the position that you are in today? I have so many to thank, but I would start off by saying thank you to everyone in the community that have been a blessing to me on this journey rather it was you giving me some materialistic or just some good words of wisdom, I really appreciate it. To my mother Alfreda, my father Kevin Sr., my grandmother Pastor Jones, my aunt Von, all of my lovely sisters, all of my uncles, aunties, cousins, all my brothers in the T, my God, mother Trudie, Coach Washington, Coach Harris, Coach Foster, Coach Johnson, Michael Beckwith, my entire Golden Gate family, my bro Justin Harris, Coach Hodge, and Coach Spivey, I really appreciate you guys for everything you guys have done throughout my life. I can’t express enough how much I love you guys. I’m so glad I had the privilege of having all of you as my family. I want to give a shout out to all of those guys. They were young and some never played football, but I appreciate them for coming out and putting forward the effort. I salute you boys. I intend on majoring in business management. I’m going to miss playing on offense for once running them boys over as well as putting the juke moves and spin moves on them, but I am going to miss that competition especially district time. You had to come play hard every night because it was anybody’s ball game. 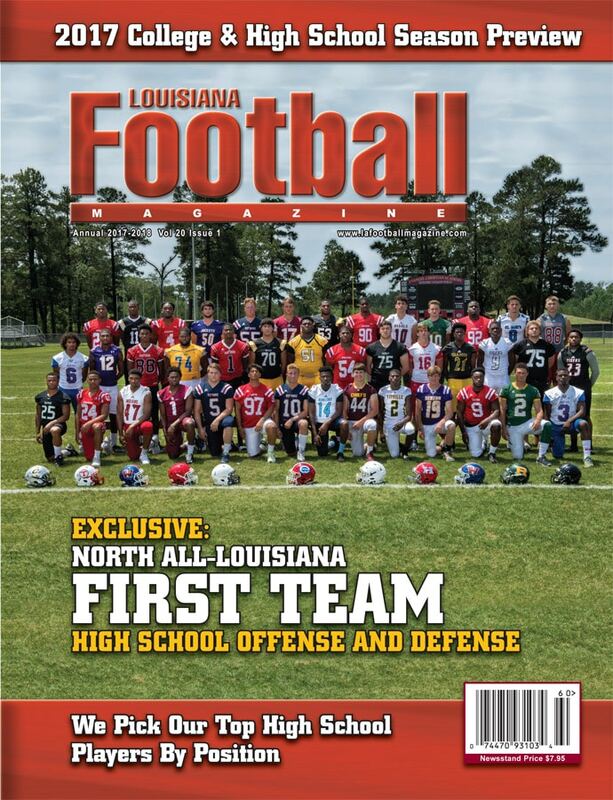 LAFM: For the ULM fans that don’t know much about you, why should they be excited to have you on their football team?